At Lüfteknic we perform the full range of preventative, scheduled and diagnostic service, repairs and maintenance on all Porsche vehicles. If your Porsche is still under warranty, or is a Certified Previously Owned vehicle, we can perform all manner of standard services required as a high-quality dealer service alternative. Additionally we have unmatched experience with the older generations of Porsche vehicles, included the earliest 356 models. 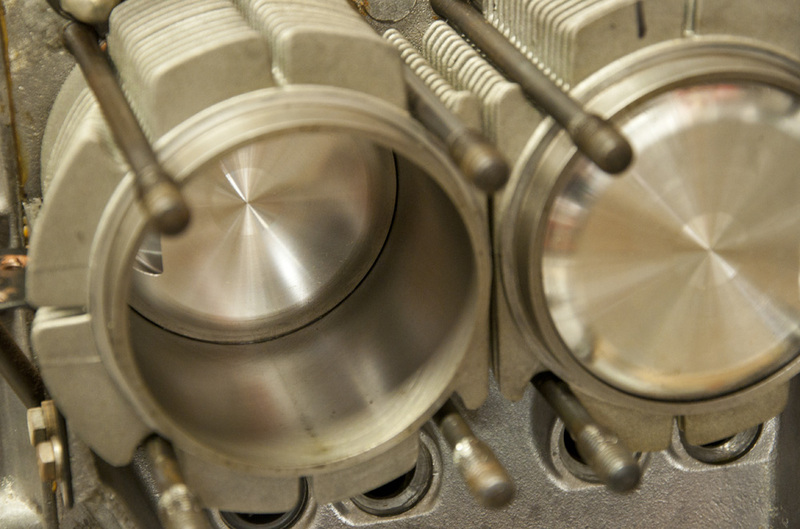 We use the highest quality parts for all of our standard maintenance and scheduled services. Whether an older 911 or the newest 991, 981, Panamera or Cayenne, your Porsche will benefit from using the best available parts. We use Genuine Porsche and OEM-supplier parts from companies such as Bosch, Mahle, Hella, Beru, and the best in synthetic lubricants from Liqui Moly, Mobil 1 and others. 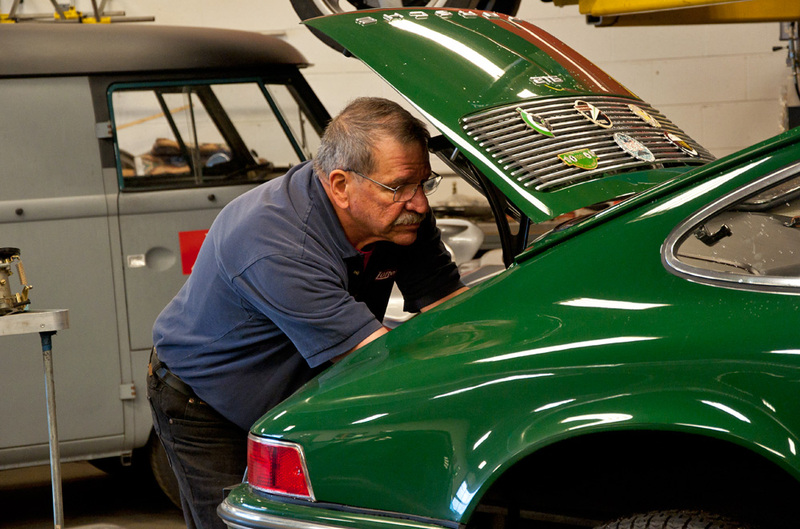 A well cared for Porsche is a happy Porsche, and we can help you keep it that way. When a problem occurs with your Porsche we have the tools and the experience to properly determine the cause of it, and what it will take to repair it properly. Lüfteknic has the latest PIWIS (Porsche Integrated Workshop Information System) factory scan tool and specialty tools needed for proper service of the newest Porsche cars, and our staff stays up to date with regular training on modern vehicle systems and components. For vintage Porsches we have the proper tools and systems in place for tuning and servicing carbureted or fuel injected pre-OBD models, with extensive connections to recondition and replace components which are no longer available new. At Lüfteknic we pride ourselves on providing our customers with the information they need to make the proper decision on what their Porsche needs now, and on future repairs. At Lüfteknic we regularly help customers looking to improve their long-term Porsche ownership experience no matter what the need or concern. Complete engine, transmission, suspension, brake or electrical system repairs and overhauls are done to factory specifications or better, working to bring you years of future enjoyment. We are well versed with the IMS bearing replacement process on the M96/M97 engine family, and offer this and other preventative services for the popular Boxster, Cayman and 996 / early 997 911 models. Lüfteknic is a Bosch Car Service center. We are an authorized Bosch Car Service center providing Bosch brand parts, diagnostic help, related info, and knowledge for the Bosch systems used in Porsche vehicles. The name Bosch and the parts and technology they provide have become synonymous with quality in the automotive world and beyond for over 100 years. There isn’t a single car today which isn’t produced using Bosch designed and supplied parts or patents. At Lüfteknic we’re proud to be an authorized Bosch Car Service center. Find out more about Bosch Car Service and Lüfteknic. The State of Virginia requires a once a year safety inspection (the yellow sticker on our windshields). For Porsche owners reluctant in taking their cars to the ‘neighborhood garage’ for this inspection, not wanting cars scratched, wheels or tires removed improperly, or have parts misdiagnosed, we can take care of the inspection. This annual look-over will at times find some things that may not be a problem but save you hardship down the road. 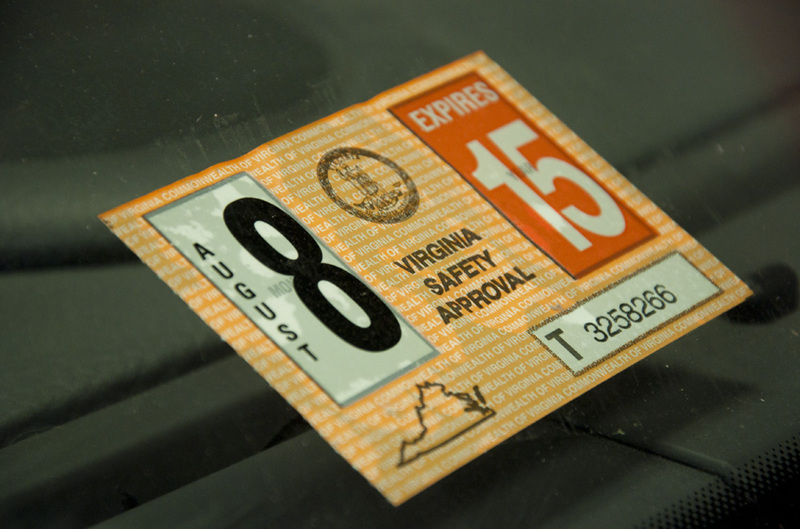 For newcomers to Virginia: If your sticker has the date 8/15, that means you have anytime during the month of August 2015 to have the inspection done.